Fiber is quiet confusing. One minute it can block you up and the next it could flush you out. But we want you to have happy poo’s, not one’s you have to run to or from the toilet about and the work may just come down to how much fiber you’re getting – or not getting. 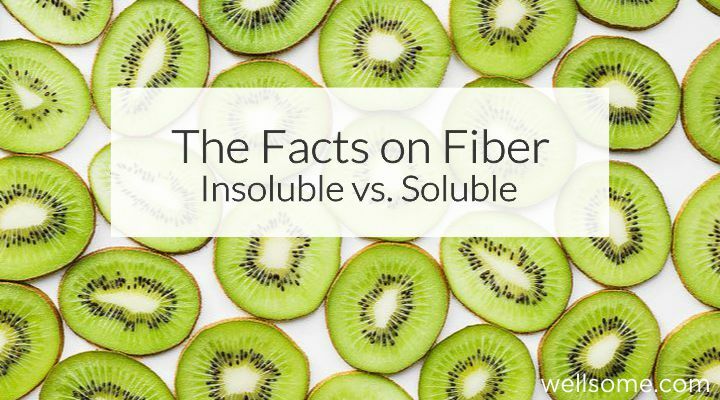 So here it is, the facts on Fiber – insoluble vs. soluble. Soluble fiber dissolves in water to form a gel-like material. I like to think of it as the Fiber that SLOWSDOWN bowel movements. Soluble fiber can be remembered as the soft parts of the foods, like apples/pears – while it’s skin is more insoluble fiber. This type of fiber helps the movement of food/waste through the digestive system and increases stool bulk. It’s the type of fiber that does not absorb water or dissolve in water. Insoluble fibers can pass through the intestine in close to there original form. It’s also largely beneficial to those who struggle with constipation or irregular stools. Soluble fiber may lower cholesterol levels. and, it can be supportive in achieving healthy weight management. Not sure if you’re getting the right fibre for you? Or maybe you’d like to get the shits cause your poo let’s face it may not be as regular as you’d like it to be. (you’re not alone). Ask me how, Free here with a 20min health discovery call to get you started on the right foot.